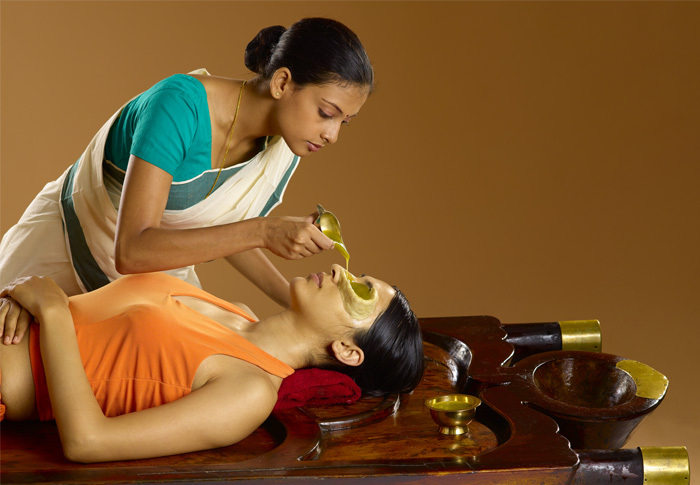 Gods Own Country Ayurvedic Resorts provide the best Tharpanam Ayurvedic treatment for eyes in Kerala. Having a decade of experience in treating eye diseases, at gods own country ayurvedic resorts , we analyze each individual followed by proper ayurvedic disease diagnosis and then the treatments are prescribed. We provide the best Tharpanam Ayurvedic treatment for eyes that is unique to each individual and their body type(dosha), identifying the underlying factors in the ailment. Eye is the most beautiful gift of Mother Nature to mankind. All the valuables of this world are useless if one is deprived of vision. Today's stressed lifestyle has given rise to many dreadful diseases which are directly responsible for vision loss. Ayurveda being holistic in nature offers successful treatments for diseases of retina and nerves. As per the Vedic knowledge of Ayurveda, there are 5 elements constituting the matter forming the perfect health of eyes, Earth, fire, air water and space. Nourishing Ayurveda medicines strengthen the complete system of eye starting from cornea to lens, retina and optic nerves. Tharpanam Ayurvedic treatment for eyes is a rejuvenation treatment for eyes. Eyes are bathed in pure form of medicated ghee for about 2 to 10 minutes. The procedure is carried out where the patient is made to lie on his/her back on the droni and a paste of black gram mixed with lukewarm water is formed in a receptacle around the orbit and a specially prepared medicated oil with Brimhana Dravyas is poured over the eyes and eyes are winked for a minimum time of approximately 35 minutes gradually increasing day by day for maximum time of 50 minutes and gradually decreasing vice versa. This is often repeated for 7- 21 days. Tharpanam Ayurvedic treatment for eyes or Tharpan means retention of medicines over the eyes. This treatment is for treating strain to the eyes, improve eye sight, strengthen the optic nerve and to prevent different eye diseases. It is basically an eye cleansing process. It gives a cooling effect to eyes. The medicated oil is retained over the eye bordered with a thick herbal combination. The Tharpanam Ayurvedic treatment for eyes reduces pain and burning sensation of the eyes, Dry eye syndrome, strengthens the eye muscles, relieves strain on eyes due to computers, driving, late night activities, bright sunlight, welding rays, furnace heat etc. It is a best treatment for eye ailments like refractive errors, retinopathies, fatigue, cataract, ptosis, ocular muscle weakness etc.